The emergence of crowdfunding portals, online advisers and lending platforms has had an impact on the financial industry in Canada and around the world. The CRR Branch of the OSC recently acknowledged the challenges these evolving technologies pose to regulators in its Annual Summary Report for Dealers, Advisers and Investment Fund Managers (detailed above), stressing that open lines of communication with registrants is critical to effectively addressing these challenges. Firms looking to adopt an online platform must be cognizant of this increased regulatory scrutiny. There have been a bevy of media reports recently about the rise of so-called “robo-advisors,” particularly in the U.S. Simply put, these are web-based “no call” investment services that use electronic questionnaires to gather know-your-client (KYC) information online and then use algorithmic software to match clients to a model portfolio. Clients’ managed accounts are typically invested in relatively simple and lower-risk investment products such as exchange-traded funds (ETFs), low-cost mutual funds, cash and cash equivalents. Riskier investment strategies such as the use of leverage or short-selling, individual securities such as equities or commodity pools are typically not permitted. However, unlike their American cousins, Canadian online advisors are generally hybrid models, as registered individuals interact with clients to answer questions and confirm KYC information as they would in a face-to-face model. They are also ultimately responsible for the suitability of the investments. Canadian regulators have been clear that online advisors who don’t initiate contact with clients and operate under the U.S. “no call” model may be subject to terms and conditions and/or have registration limited to a restricted category. We have also seen the rapid growth of “crowdfunding”, an umbrella term for raising funds or capital over the internet from members of the public (the crowd). Equity crowdfunding involves the sale of securities through online investment platforms or portals that connect investors with private companies seeking capital on a prospectus-exempt basis. These approved internet funding sites are typically registered in Canada as an investment dealer, an exempt market dealer (EMD) or a restricted dealer, and like robo-advisors, can be new registrants that build their presence digitally or existing registrants that move some or all of their business online. A funding portal is a dedicated website and intermediary that makes issuer offering materials available online to prospective investors and fulfills certain gatekeeper functions such as ensuring self-certifications of eligible investors, reviewing issuer disclosure, performing background checks on the issuer and its officers and directors and enabling related online communication. As discussed in our June 2016 Bulletin, the Competition Bureau recently launched a market study that will look at technological innovation in the Canadian financial services “FinTech” industry including robo-advisers and crowdfunding and will publish their results in the Spring of 2017. 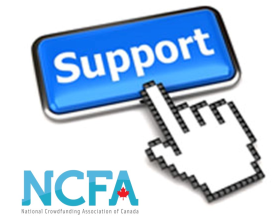 As discussed in our November 2015 Bulletin, in January of this year, five Canadian provinces including Ontario came together to publish Multilateral Instrument 45-108, which builds a regulatory regime around crowdfunding. However, its strict monetary limits, such as a 1.5 million annual cap for companies, has limited its use.